Marble Hill Farms is a place for those who are ready to get away from stress and step into a truly relaxing experience. Whether you are dining in the treetops at the Crow’s Nest, diving our playground of coral reef, flying on a kite board, or enjoying a swing in a hammock, you will find yourself leaving behind the frantic pace of your every day life and slowly catching the quiet rhythm of the island. Get a feeling you are sleeping at the top of the tree. These yurt-like casitas are elevated from the ground with stunning views due to the 24 foot wide panoramic window looking out to the Caribbean Sea. Inside the 280 square foot unit you’ll find a queen-sized bed, kitchenette (refrigerator, microwave, coffee maker and toaster) and a spacious bathroom with an screened-in open air shower. They have both a ceiling fan and air conditioning inside as well as a large deck on the outside. 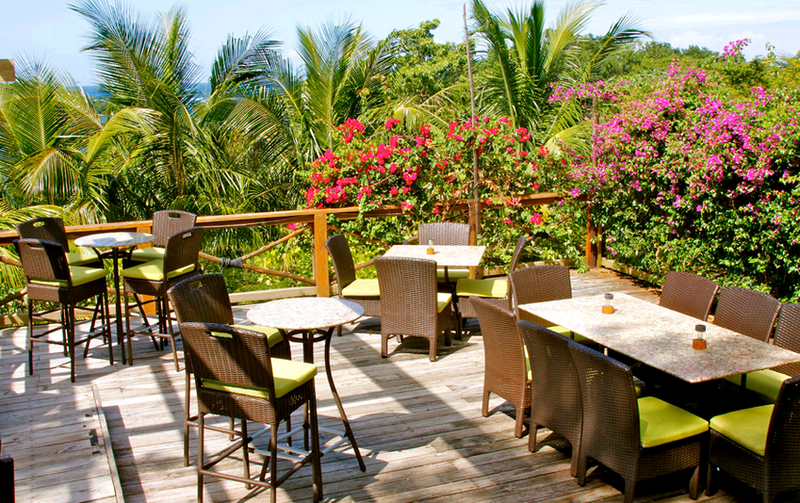 Grab a signature Marble Hill Mango Margarita and watch the sunset from our deck at The Crow’s Nest Restaurant. 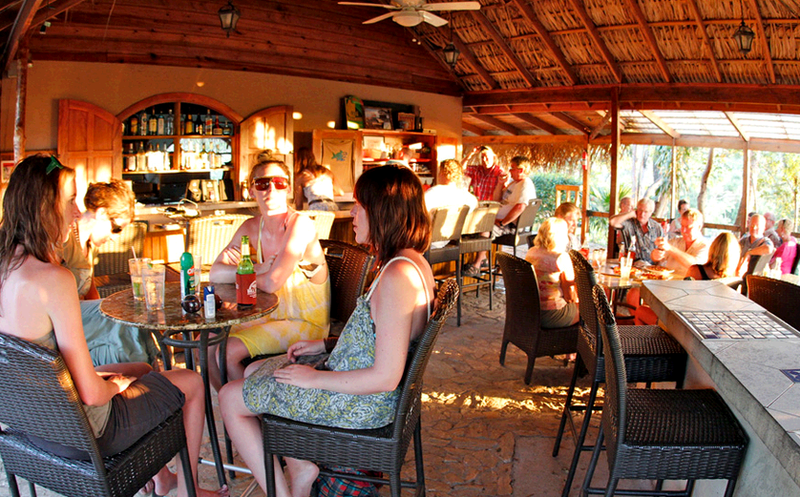 We offer a wide array of local and American food and drink options to both our guests and walk in customers. Try our amazing pizzas and succumb to the atmosphere of The Crow’s Nest. Guests, who are staying as a part of a package plan, will receive breakfast, lunch and dinner every day. Selections are made from The Crows Nest menu items. Breakfast includes fresh fruits, pastries and coffee. Enjoy a peanut butter and jelly sandwich made from our very own jams and jellies… hibiscus, mango and pineapple. Yummy! Some of our rooms have a kitchenette where you have the option of cooking your own meals as well. Our newest addition to the lodging are modern, king size rooms just few steps from the Caribbean Sea. Sea side of this room is made of two glass sliding doors that guarantee a lot of light inside. This room is equipped with king size bed, sofa, coffee table, lounge chair, TV, DVD, dining table with stools, kitchenette (refrigerator, toaster, microwave, coffee maker and purified water) and a spacious bathroom with shower. There is a both ceiling fan and air conditioning.Swing in a hammock, read, relax in gravity chair or have a coffee on your private deck with an amazing view. This deck will be your living room with nice breeze. The dorm style accommodation is great for guests on budget that plan to spend active days outside and relaxing evenings indoors. One dorm room is with queen size bed and second dorm room with 2 bunk beds (4 sleeps) and spacious bathroom facilities shared for both dorm rooms. Rooms does not have kitchen, but features small refrigerator. Breakfast is not included in the price of the room. 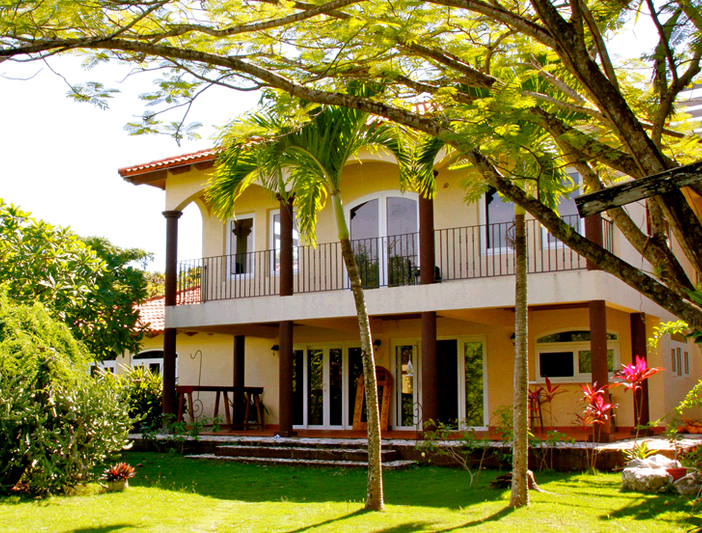 Caribbean style wooden house is located in the middle of the garden with oak trees. You can hear waves breaking on a reef while you swing in a hammock on large enclosed deck area overlooking our tropical garden, dock and the Caribbean Sea. This two bedroom accommodation includes a master bedroom with a queen size bed and second bedroom with two single beds. Casita feature ceiling fans and ACs in both bedrooms. 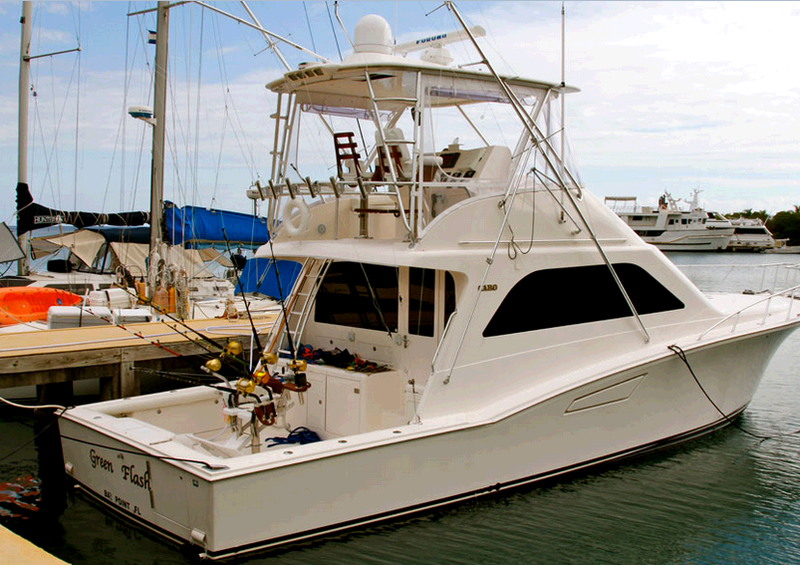 In a deck area you will find a kitchenette (free purified water, refrigerator, toaster, coffee machine, cooktop or microwave) and the bathroom with 1 toilet, 2 sinks and 2 showers. Enjoy each moment and relax in the middle of nature with an amazing view. The West Bay Lodge at Marble Hill Farms in Roatan, Honduras is a spectacular place to stay with the natural surroundings and peaceful environ. I loved the place and my family loved it too. The Marble Hill Farms are probably the best place to relax and rejoice with family in Honduras. 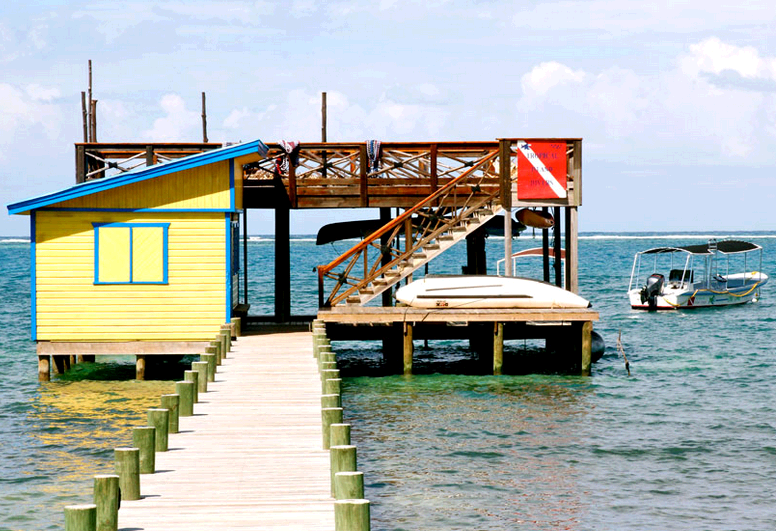 I had a great time enjoying the diving and other activities but what impressed me most was the food in the Crows Nest restaurant - Amazing flavors. I would say it’s a must visit place if you are travelling to Honduras and I will surely go back for a vacation.